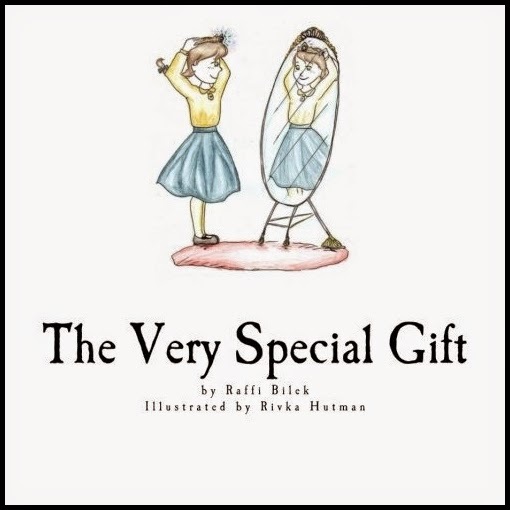 I am most pleased to announce the publication of my latest book, The Very Special Gift. It is designed to help parents educate and discuss with their daughters the issue of tznius. It is targeted to early grade-school-age girls, but it probably has a good degree of flexibility in terms of getting the message across. I hope that this will be helpful to many people in addressing this vital and challenging subject with your daughters. If you buy a copy, please do let me know what you think in the comments below! My recent Kveller article entitled “I’m an Orthodox Jewish Father and I’m Exhausted” got a lot of sympathetic comments from people in the same metaphorical boat of parenthood and exhaustion. Folks shared with me their low moments, their parenting fails, their misgivings, and so on, often with more than a tinge of shame. And I responded to them, guess what? You’re just like the rest of us! Thus did I embark upon my second article on the subject, with the intent of reassuring all you struggling parents out there that you’re not the only one. Really. You’re not the only one. In fact, I maintain that parents of multiple young children are as a rule overtired, overburdened, and just plain overwhelmed. I would even say that this is true of all parents of young children, but I’m sure there are some exceptions to the rule and that there’s a handful of you out there who really are sailing effortlessly through the process. It’s hard, folks. Look, I’m a marriage and family therapist. I counsel people on parenting issues, among other things. I know what I’m doing. And I’m still tired out by the process, grappling with the challenges, and run ragged by my interminably energetic children. You are not alone! Parenting is a tough job for all of us, and nobody’s perfect. All parents make mistakes. All parents sometimes lose their cool. All parents sometimes have thoughts about stuffing those little creatures back where they came from and going back to the easy life. This is true even of your neighbor whose house looks spotless at all times, who always has a bright smile on her face, and who seems to be way above this kind of problem. She’s not. We all try to put on a good face for the outside world, some more successfully than others, but your neighbor has it tough too. Maybe she has the money to hire a cleaning lady to keep the house perpetually tidy, but she might have a special needs child whose problem can’t be fixed by any amount of money. Maybe she’s be great at plastering a smile on her face, but it doesn’t mean the she’s feeling any better than you are. Trust me – she may very well be my client, crying helplessly in my office once a week. Let’s step back here for a moment and take a broader perspective. Why are we having so much trouble with just two or three or four kids when our forebears generally had much larger families and apparently did not crumble under the pressure? I think it is vital to recall just how different times are today from the way things used to be. Life was much, much harder “back in the day.” Things we take for granted today could not have even been imagined before 150 years ago or so. Electricity in every house, air conditioning and heat, running water everywhere, not to mention computers, the internet, and smartphones. It used to be that you had to work all day every day just to put enough food on the table to survive, and that the majority of the population wasn’t entirely sure they would have it on a regular basis. It used to be that for most of the year you suffered because it was too cold or too hot, depending on where you lived. It used to be that people had more kids because they needed them to work on the farm! And let’s not forget that “family” and “community” were much stronger terms before the world of cars and telecommunication – even your great-grandmother would have been scandalized at the thought of two people trying to raise a couple of kids on their own! Today everything is designed for you to be comfortable. Comfort as a goal was unthinkable for most of human history. Survival was where it was at. 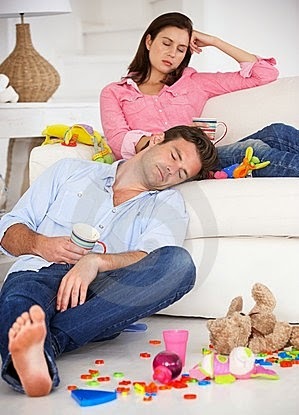 So for us in our coddled and pampered lives to contend with the challenges of childrearing is an entirely different kettle of fish than it was for our ancestors. Chutzpah from a six-year-old somehow doesn’t register high on the concern scale when you are trying to figure out how to keep enough calories coming in to survive the rest of the winter, when you are running low on firewood, and when you’ve already lost two children in childbirth. Life is not going back to the old way anytime soon. The world is a very different place, and it may be that a large family is for most of us no longer a realistic ambition. That’s okay. Having children has always been an important Jewish value, but it’s not the only one. Being real about the modern world and fulfilling our roles within it is a fine and dandy approach; in fact, we can’t really do it any other way. So don’t fret. It’s going to be hard. It’s going to be long. I hear it’s nice on the other side of the gauntlet, but I haven’t gotten there yet myself to let you know firsthand. But at the very least, take comfort in the fact that it’s not just you. We’re all struggling – which, let us recall, is not in and of itself a bad thing, especially if you buy into Judaism’s whole personal growth bit – so let’s make peace with the struggle, keep trying to do it better, and support each other as we all hurtle down this crazy road together.